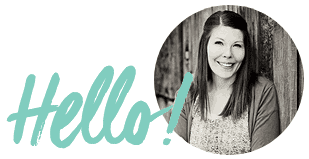 Don’t let the cooler weather make you feel like salad season was put away with your swimming suit and beach towels. 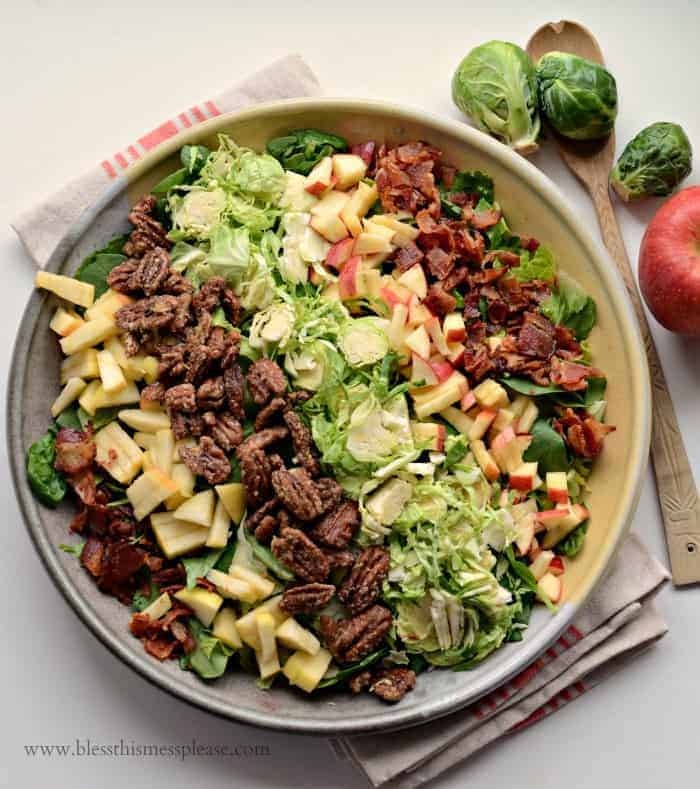 This Fall Salad with Maple Candied Pecans, Bacon, Apples, and Shaved Brussels Sprouts is perfect all fall and winter long. This fall salad is filling and just perfect for the main dish at lunch. 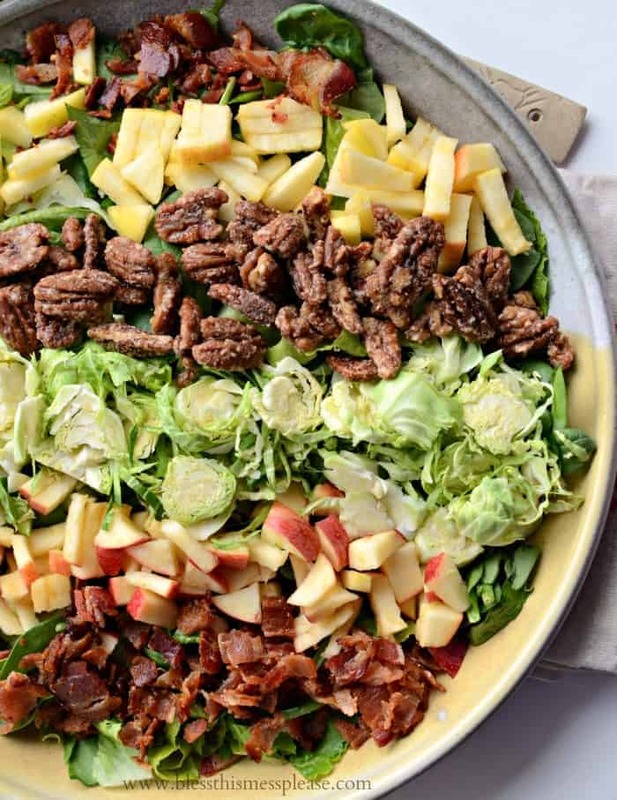 The apples and nuts are crunchy and sweet, bacon is never ever bad on a salad, and those shaved Brussels sprouts are my favorite. Raw Brussels sprouts taste like a mild crunchy cabbage. They are really pretty in the salad and add a fun unexpected element. You can use a mandolin slicer to shave them extra thin or you can simply cut them in half (after removing most of the hard stalk end) and then use your knife to slice them very thinly. There’s no real science behind “shaved Brussels sprouts”, but try for really thin little slices of the raw vegetable. When it comes to the salad dressing, you can make a homemade maple Dijon dressing (recipe included), or you can even serve this with store-bought poppy seed dressing; both are delicious. In my efforts to slowly lose some of my baby weight, I’ve made an effort to eat vegetable heavy dishes for two meals in my day. Most of the time that means eating sautéed vegetables and eggs or a smoothie for breakfast and then eating a salad for lunch. Then I’m pretty good to eat a normal portion of whatever I’ve made for dinner. I’m here to tell you that salad for lunch doesn’t have to be boring! 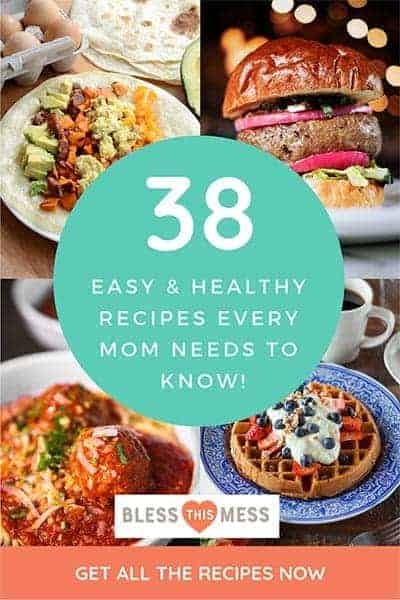 Also, eating a little bit of nuts and salad dressing with good fats in it really helps me to stay fuller longer and makes the meal more enjoyable. 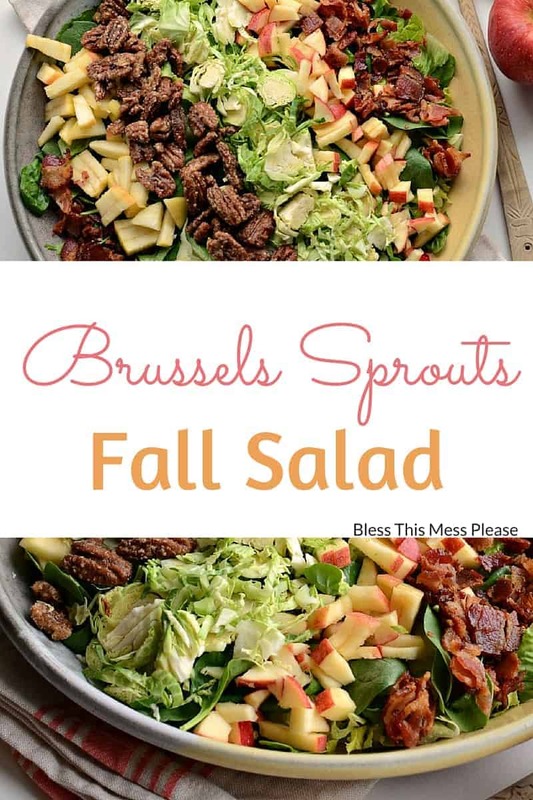 I loved this fall salad and made it a few days in a row while I still had the dressing in the fridge. I know you are going to really enjoy it too. This would make a beautiful side for your Thanksgiving meal. I know I enjoy a fresh dish or two with all of the warm cooked ones. 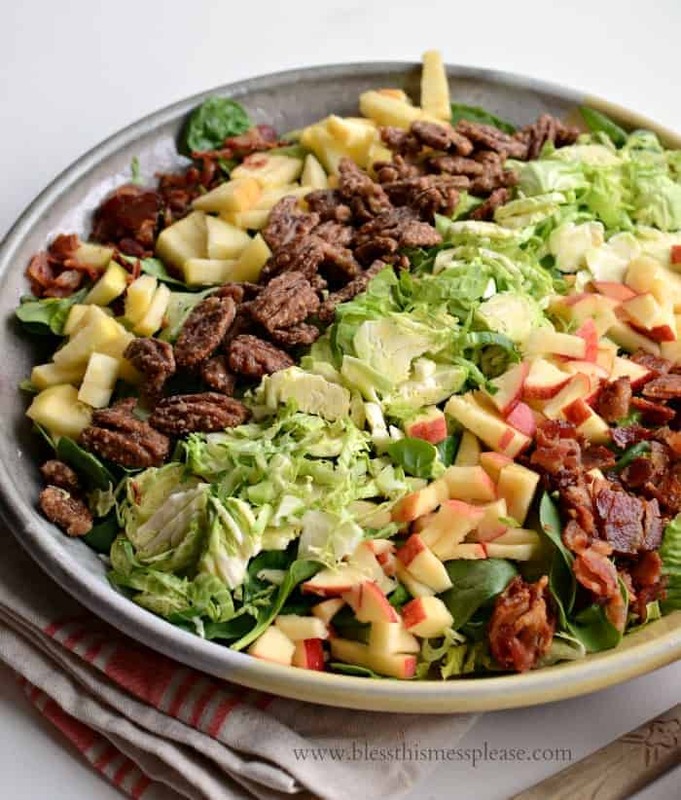 Add the lettuce to a bowl and then top with the additional ingredients. Dress the salad and toss right before serving (the dressing recipe makes more than you’ll need, enjoy the leftovers another day). If you don’t want to make a homemade dressing, a store-bought poppy seed dressing would also be a great choice. I like the Briannas brand. If you want to add some feta cheese to this salad you sure can! I think it would be a really nice addition. That’s salad perfection right there! Enjoy friends! What a gorgeous salad! I would love if this was served at thanksgiving and may just have to serve it up myself. I love this dressing! I heated some up and poured it over a nice pile of mixed greens and shredded pork. WOW. I even got brave and thinly sliced some Brussels sprouts to throw on it. They were a surprise crunch! Thanks!